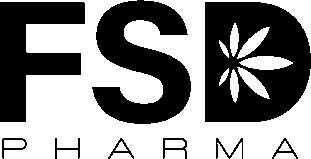 TORONTO, Feb. 14, 2019 /CNW/ - FSD Pharma Inc. (CSE: HUGE) (OTCQB: FSDDF) (FRA: 0K9) ("FSD"), a licensed producer under the Cannabis Act, today provided a corporate update on operations, strategy and leadership changes. "It is with great pleasure that I return to the role of the interim CEO at such a momentous time for the company," said Dr. Raza Bokhari, Executive Co-chairman & interim CEO. To optimize operations, FSD's Board of Directors terminated a definitive agreement with Auxly Cannabis Group Inc. ("Auxly") on February 6th, 2019. FSD believes that Auxly was under clear obligation to develop all aspects of the company's cannabis cultivation facility in mutually agreed upon staged phases. Auxly had made commitments anticipating that the first phase of construction would be completed and ready for Health Canada approval by the end of December 2018 which never materialized. "We have unique and valuable assets poised to unlock sustainable shareholder value and reenergize execution of our company's founding vision and mission," said Dr. Raza Bokhari. "Our work is guided by our drive and passion to capitalize on the opportunities before us and ensure that our efforts serve the strategic and operational goals of the business, our employees and our shareholders." Dr. Raza Bokhari continued: "We have a clear plan moving forward to build a global retail and medicinal cannabis footprint. We intend to continue our 220,000 phase 1 building expansion and are assessing different opportunities with other potential strategic partners and construction companies including utilizing our cash, securities and other assets on hand to continue progressing forward. We will update investors as soon as possible and only upon signing of definitive agreements. We will continue to optimize our 25,000 square foot licensed cultivation area adding high value varietals, while utilizing best practices in the latest agricultural science. We are making good progress with the much-anticipated sales license and we have a strong cash and asset position with no debt. In 2018, FSD has made strategic investments totaling CDN $8 million in Cannara Biotech, SciCann Therapeutics ("SciCann"), Hightide Ventures, Huge Shops, and Pharmastrip Corp ("Pharmastrip"). These investments have quickly grown to nearly CDN $25 million as per current market value. Additionally, FSD recently signed royalty agreements with Canntab Therapeutics, Pharmastrip, World Class Extractions Inc., SciCann, and Solarvest BioEnergy Inc. which FSD expects to pay dividends over time. "Acquisition of a platform company to advance R&D of synthetic and biosynthetic cannabinoids to commercial FDA approved drugs worldwide remains our 'flagship' strategy," said Dr. Raza Bokhari. "We are confident that we will soon identify a suitable and compelling platform to execute on our strategic intent. We were disappointed that the intended acquisition of Therapix Biosciences did not materialize but are at the cusp of unlocking tremendous opportunities for the FDA approved application of synthetic and biosynthetic cannabinoids to address a variety of unmet needs in diseases of the central nervous system, sleep disorders, skin conditions, and to generate alternative treatment options to opioid based therapies." "My top priority is to focus on delivering sustainable and positive shareholder value that can withstand the test of time," said Dr. Raza Bokhari. "To achieve this, we must strengthen our leadership team with gathering world class experience, expand our board with independent members and incorporate gender and cultural diversity in all of our ranks."